This new build in Lhanbryde creates a purpose built garden centre that will soon be open to the public. The building is comprised of Approx. 100 tons of hot and cold steel sections and 2200 m2 of roof and wall cladding. The building has an unusual barrel vault roof that includes seven built in roof lights. The roof cladding system required to be built up in layers to accommodate the curve and to meet current U values and regulations. 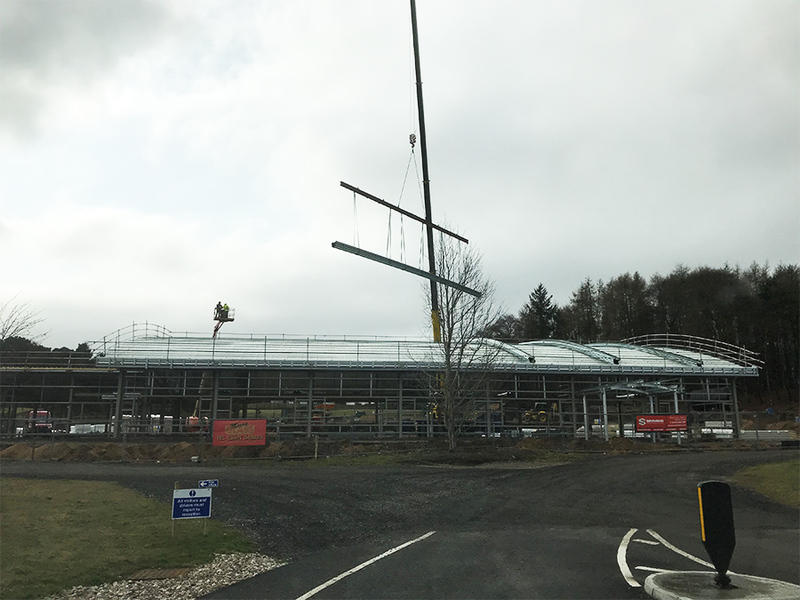 Our directly employed labour force fabricated the steelwork in our factory, and erected the steelwork and cladding on site.